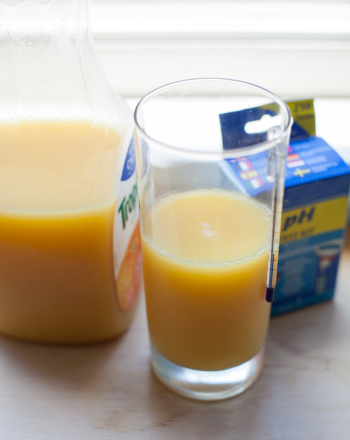 Determine whether fresh vegetables have more calories or less calories than canned vegetables. 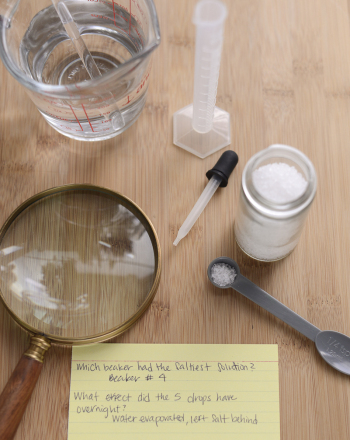 Science fair project that tests how heat affects the chemical reaction between a seltzer tablet and a glass of water. White Trays vs. Whitestrips: Which Whitens Teeth Better? 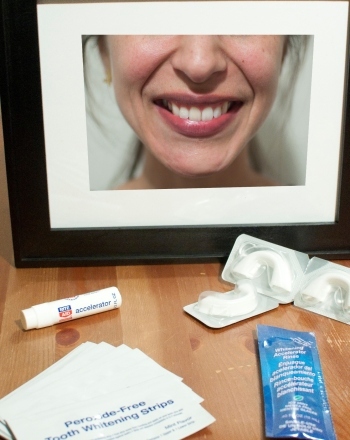 Explore which teeth-whitening products work best - Whitestrips or Whitetrays. Can you stain teeth with tea, coffee, or coke? 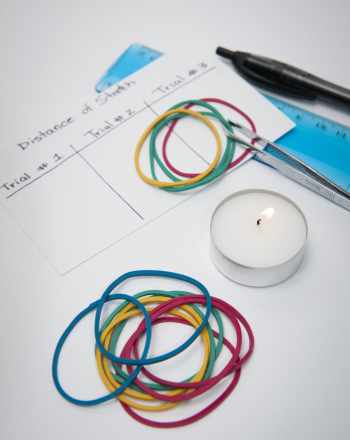 Explore how in this science fair project idea. Science fair project which measures the amount of heat energy released by a burning candle by calculating how many calories of heat it emits. Science fair project that determines what percentage of air is made up of oxygen by examining the chemical reaction between oxygen and rust. Science fair project in which you will create your electricity by making a homemade battery using salt water, a nail, and a copper wire. 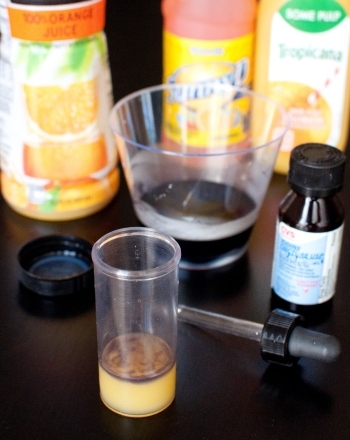 Science fair project that determines which foods and drinks contain the highest amount of glucose. Which Nail Polish Lasts Longer: Matte or Shiny? 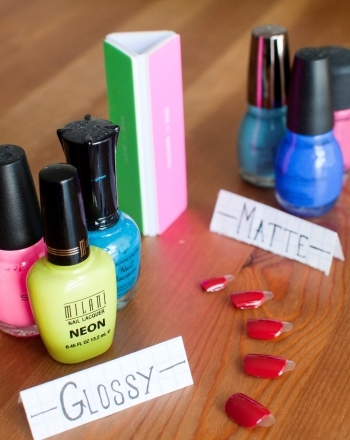 Find out whether matte or shiny nail polish lasts longer. 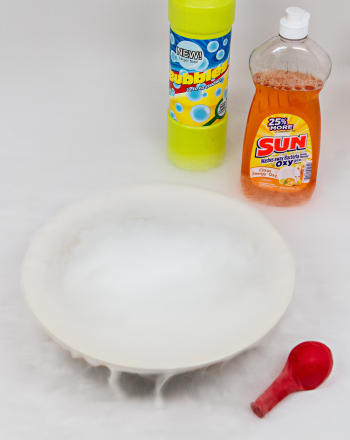 In this experiment you will become familiar with the properties of dry ice while creating interesting effects like ice bubbles! In this experiment a spectrometer is used to analyze the light emitted by burning ion solutions. This experiment provides a graphic illustration of the chemical reaction that occurs when you activate a hand warmer. Many substances are compounds of different elements. This experiment combines iodine and zinc to make zinc iodide. This experiment determines the distribution of darts around a bulls eye to simulate the probability of an electron's location in its own cloud of electrons. 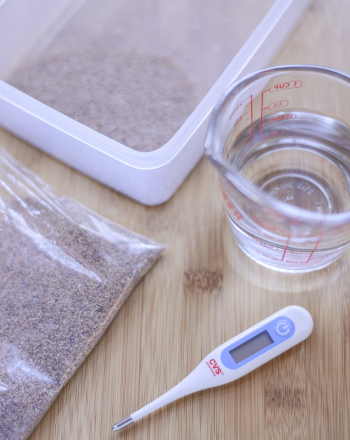 This experiment explores the trend of reactivity in the alkaline earth metals as you go down the second column of the periodic table of elements. 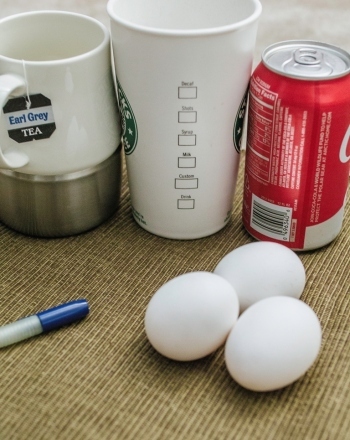 In this experiment, recycled objects are separated to demonstrate how mixtures are made and the variance in the physical properties of their ingredients. 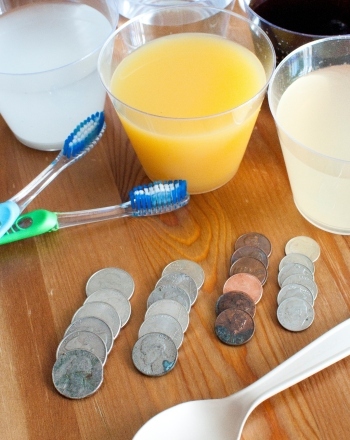 This project explores the effectiveness of various common household ingredients in cleaning tarnished and oxidized coins. 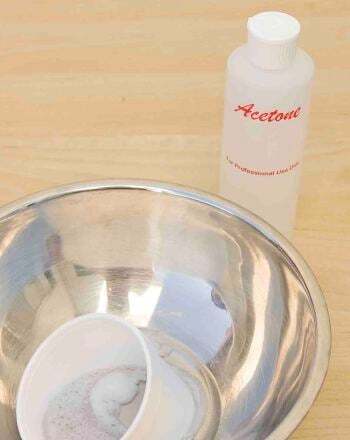 This experiment will demonstrate the separation of polymers by melting Styrofoam cups with nail polish remover.